This walk enables you to explore a typical causse village built around its laundry trough and Romanesque church. Ponds, laundry troughs and an ox-shoeing stall give this walk its character. Water is a rare commodity on the surface of the Causse. 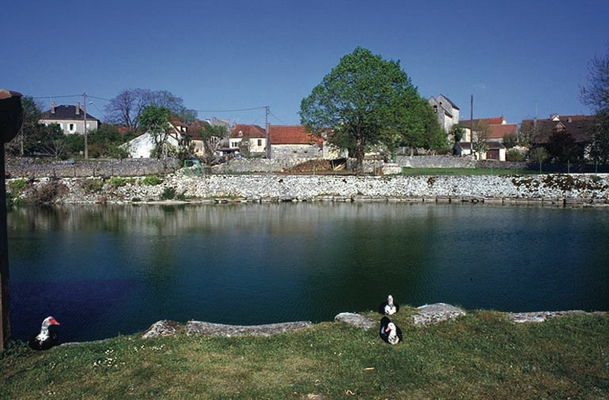 The history of Reilhac illustrates the particular attention that people have always accorded it, finding ingenious ways of conserving it at a time when water didn't flow out of taps everywhere. The village no doubt owes its existence to the presence of its abundant spring, whose waters were captured by building extensive constructions. 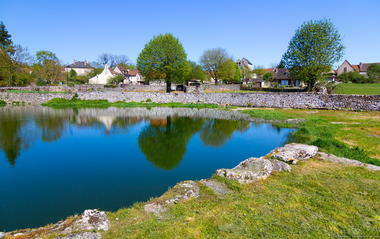 In the countryside around, numerous constructions reveal the Caussenards' ingenuity in capturing rainwater.